In 2012, however, this placid picture went up in flames. A team of four physicists took a puzzle first put forward by Stephen Hawking about what happens to all the information that falls into the black hole, and turned it on its head. 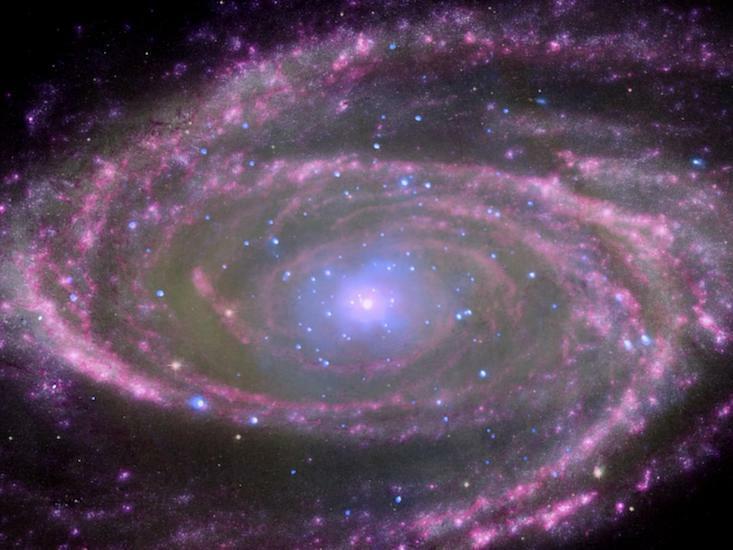 Rather than insisting that an astronaut (often named Alice) pass smoothly over the event horizon, they prioritized a key postulate of quantum mechanics: Information, like matter and energy, must never be destroyed. That change ended up promoting the event horizon from mathematical boundary to physical object, one they colorfully named the wall of fire. “It can’t be empty, and it turns out it has to be full of a lot of stuff, a lot of hot stuff,” said Donald Marolf, a physicist at the University of California, Santa Barbara, and one of the four co-authors [no cited paper]. The argument caused an uproar in the theoretical physics community, much as if cartographers suggested that instead of an imaginary line on their maps, Earth’s equator was actually a wall of bright red bricks. The news of a structure at the boundary didn’t shock Mathur, however. For more than a decade he had been arguing that black holes are really balls of strings (from string theory) with hot, fuzzy surfaces. “As you come closer and closer it gets hotter and hotter, and that’s what causes the burning,” he explained. In recent years, Mathur has been refining his “fuzzball” description, and his most recent calculations bring marginally good news for Alice. While she wouldn’t live a long and healthy life, the horizon’s heat might not be what does her in. His new work extends arguments from 2014, which asked what would happen to Alice if she were to fall onto a supermassive fuzzball akin to the one at the heart of our galaxy—one with the mass of millions of suns. In such situations, the force of gravity dominates all others. Assuming this constraint, Mathur and his collaborator found that an incoming Alice particle had almost no chance of smashing into an outgoing particle of Hawking radiation. The surface might be hot, he said, but the way the fuzzball expands to swallow new material prevents anything from getting close enough to burn, so Alice should make it to the surface. In response, Marolf suggested that a medium-size fuzzball might still be able to barbecue Alice in other ways. It wouldn’t drag her in as fast, and in a collision at lower energies, forces other than gravity could singe her, too. Mathur’s team recently took a more detailed look at Alice’s experience with new calculations published in the Journal of High Energy Physics. They concluded that for a modest fuzzball—one as massive as our sun—the overall chance of an Alice particle hitting a radiation particle was slightly higher than they had found before, but still very close to zero. Their work suggested that you’d have to shrink a fuzzball down to a thousand times smaller than the nanoscale before burning would become likely. By allowing Alice to reach the surface more or less intact (she would still undergo an uncontroversial and likely fatal stretching), the theory might even end up restoring the Einsteinian picture of smooth passage across the boundary, albeit in a twisted form. There might be a scenario in which Alice went splat on the surface while simultaneously feeling as if she were falling through open space, whatever that might mean. The details of Mathur’s picture remain rough. And the model rests entirely on the machinery of string theory, a mathematical framework with no experimental evidence. 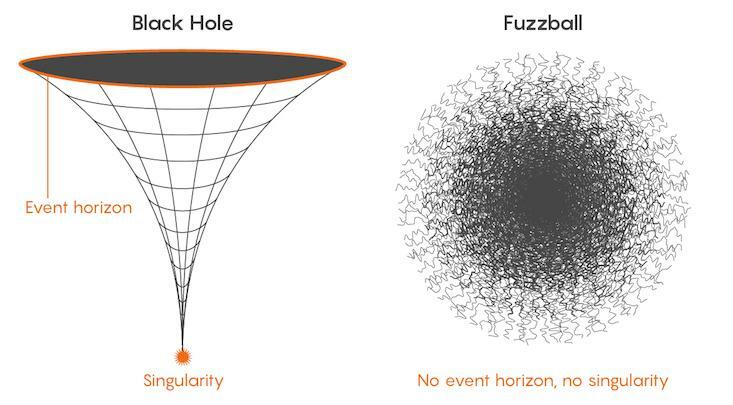 What’s more, not even string theory can handle the messiness of realistic fuzzballs. Instead, physicists focus on contrived examples such as highly organized, extra-frigid bodies with extreme features, said Marika Taylor, a string theorist at the University of Southampton in the U.K.
Mathur’s calculations are exploratory, she said, approximate generalizations from the common features of the simple models. The next step is a theory that can describe the fuzzball’s surface at the quantum level, from the point of view of the string. Nevertheless, she agreed that the hot firewall idea has always smelled fishy from a string-theory perspective. “You suddenly transition from ‘I’m falling perfectly happily’ to ‘Oh my God, I’m completely destroyed’? That’s unsatisfactory,” she said.